The old man bobbed his head up and down approvingly. “Naturally, naturally.” He went on telling us of how he would negotiate, I could only look at him and not hear his boasting. I had already tuned him out. The glint in his eye told me he already knew what price the other villages would pay for their children. The glint in his eye told me we probably would not see any of that reward. I would have left the village then, turned my back on those greedy people, were it not for Caballo. My oldest friend needed rescue too. That night, we slept on soft down filled mattresses. That night, every woman in the village came to visit us. That night, the fires of our hearts and our bellies were filled to bursting. That night, we were given anything a man could want for what might probably be our last night alive. The village people had replenished our stocks of food, clothing, new horses, and most importantly torches. They sent us off with a heroes farewell; people lined the streets waving and weeping. No sooner had we left the confines of the last hut encircling the village, than the weeping turned off and the village went back to normal life as though we had never been there. As we wove our way back up the foothills to the beasts lair, we discussed a tentative plan of action. How we would kill the beast. The Baron, an educated man, began to open up. He told me stories of his childhood in the mountain range called the Alps. He regaled me with intimate knowledge of the kings court. He stunned me with his knowledge of unusual creatures both of land and sea. Then he told me what he had recently learned of our dragon. The Baron had deduced, from the eggs, that this is a female. He had taken notice that many of the animals in the nesting portion of the lair were still living. He noticed the lack of bare bones in the nest area telling him the adult did not feed there. He noticed the thrum of the eggs. How could he not, they reverberated through you entire being. He had deducted the dragon female laid the eggs, then hunted food for the babies to eat once they hatched. It did not appear she ate, at least not inside the den, while protecting the eggs. Therefore, Caballo should still be alive! My heart rejoiced. My good friend and companion, Caballo, would be waiting for my return and rescue. Within days we were once again at the pool near the entrance of the dragon’s lair. Once again, the overwhelming stench of the area burned our eyes and ears. My nose ran and my breath was again short and shallow so as not to take too much of the poison into my lungs. We rested by that pool, did not hobble the horses, but loosely tied them to some scraggily bushes. If they were determined, they could get loose and run away. If the dragon was after them, they would be determined. Mid afternoon, the sun was on the down slope towards night. 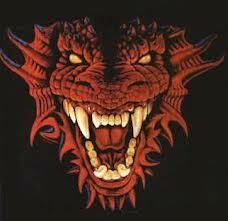 Night time would bring the dragon out of its lair. Neither of us saw the priest. We had not anticipated we would be followed to this destination. Donned in his white robes, shaking a tambourine, praying at the top of his voice, the old man sought to bring ruin upon the dragon with only his prayer. Crossing myself, I started to running to him. From my right ear, I could hear his lamentations. From my left ear, I could hear the growl of the hell-spawn herself. Knowing full well that I could not make it to him before she did, I screamed for him to stop and take cover. Hearing the screams coming from my mouth drowned out the yells from the Baron. The Baron was telling me to leave the priest and get into the cave behind the she-devil. As she swooped the priest up, pressing him into her chest with her forearms, she spread her wings and took flight. The power of the wind those wings created upon lift off, knocked me off my footing. Down the side of the boulder I had been standing on. I bumped my head and twisted my ankle. Still seeing stars and limping, I found Baron Von Bassett hunkered down near the entrance to the cave. Lighting our torches, we entered the cavern again.